This is a product that I believe in! For years I wanted to experience a sensory deprivation tank. I had heard if them. My first float was at spa in Lakewood, OH. Then I learned of a Samahdi tank at a Wellness Center in Monroe, MI and floated there several times. Since then, I wanted one. A few years ago I was thrilled to find out about the Zen Float Tent. I purchased one and it has changed my life. What it is, is a light proof tank where over 800 lbs. of epsom salt is dissolved into about 150 gallons of water heated to body temperature. You shower before and afterwards. Climb in and you float. I like to float anywhere from a few minutes to an hour or more. What I like most is that you can do it in the privacy of your very own home. 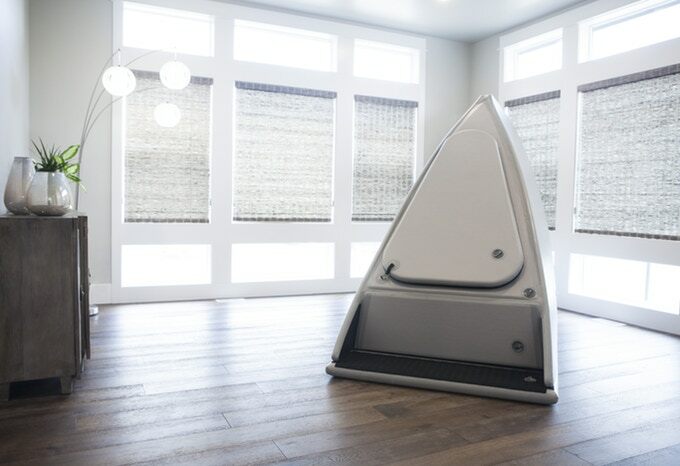 The Zen Float tank is designed for home use only and is not intended for commercial applications. I am offering this for local sales only. By coming to the Pinball Store you’ll be able to see and touch the new Zen Float Tank for yourself. For an extra fee I will help in assisting in the set-up of your unit. (Although you can do it yourself by following their instructions.) If you are not within an hour’s drive of the store, I recommend buying your Zen Float Tank directly from their website. The new units should be available in November, 2018. A deposit of $1,000.00 will hold one for you. The balance can be paid upon pick up or delivery, as soon as the new units are shipped later this year.